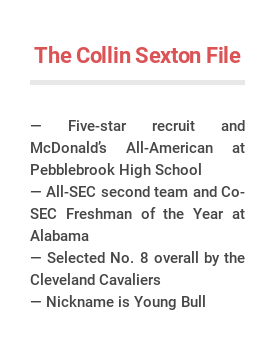 Collin Sexton, the No. 8 overall pick in June’s draft, blends an efficient explosiveness with natural, cereberal playmaking instincts. 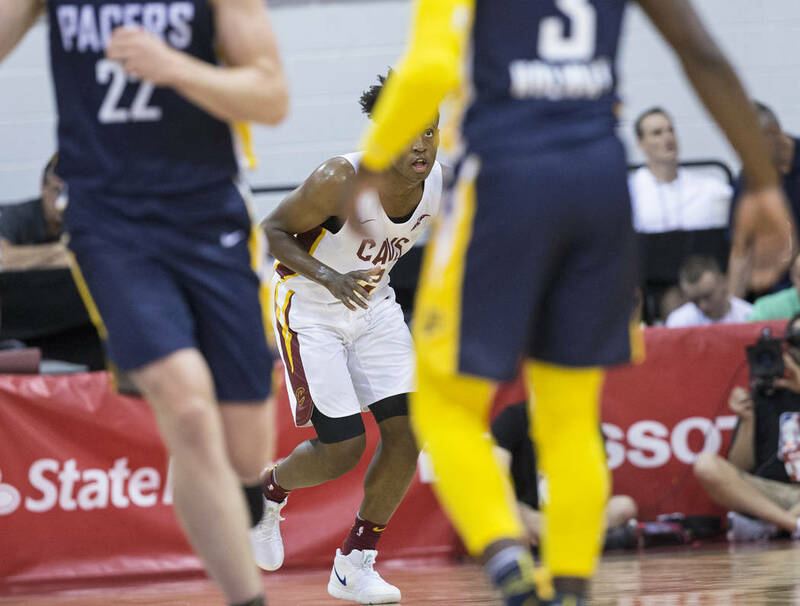 Cleveland Cavaliers general manager Koby Altman sat courtside at Cox Pavilion on Monday afternoon, watching his prized rookie point guard, Collin Sexton, gracefully dissect the Indiana Pacers. 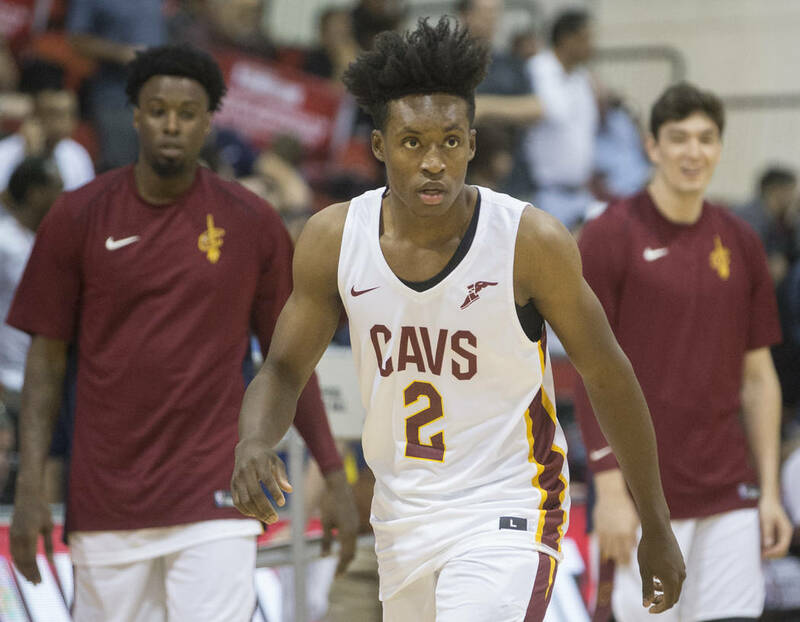 “I love the Young Bull,” Altman said with a grin, in reference to Sexton’s nickname. Sexton, the No. 8 overall pick in June’s draft, blends an efficient explosiveness with smart playmaking instincts. 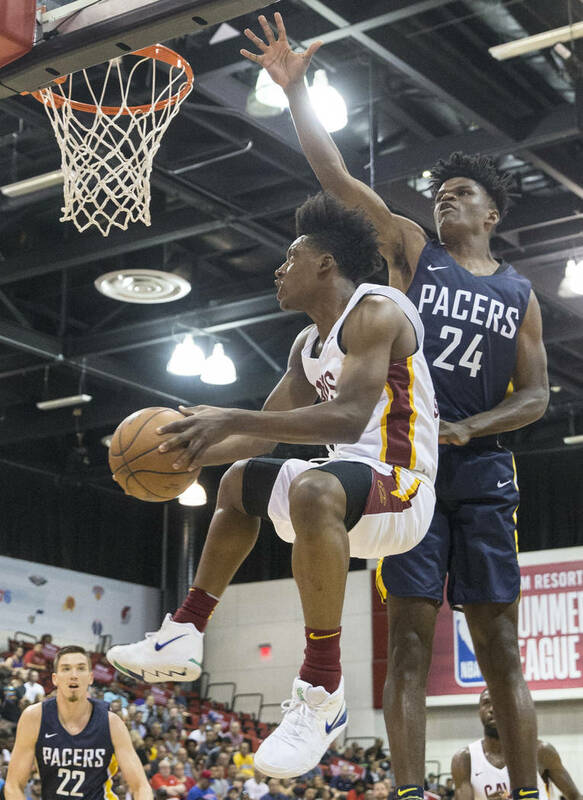 At 6-foot-2-inches tall, 185 pounds and 19 years old, the former Alabama standout is a crucial component of the Cavaliers’ future — a future that no longer includes LeBron James. He knows the organization’s expectations as it prepares to move on from recent successes. He’s embracing them. 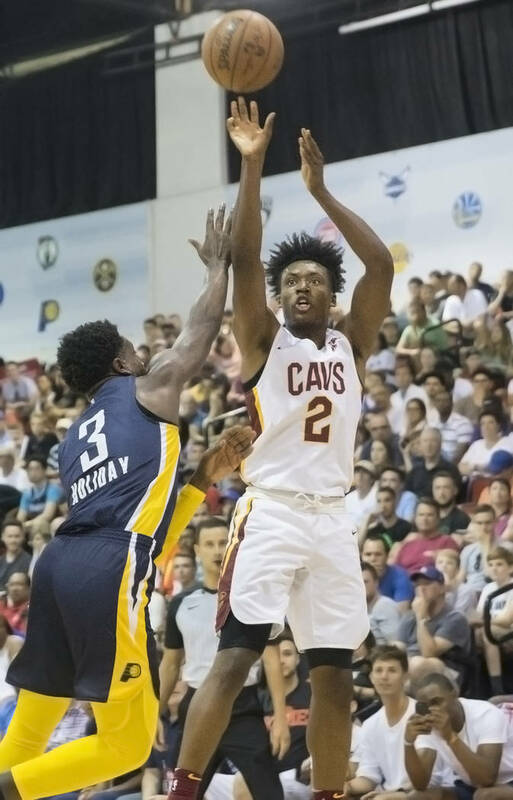 Toughness is a hallmark of Sexton’s game. 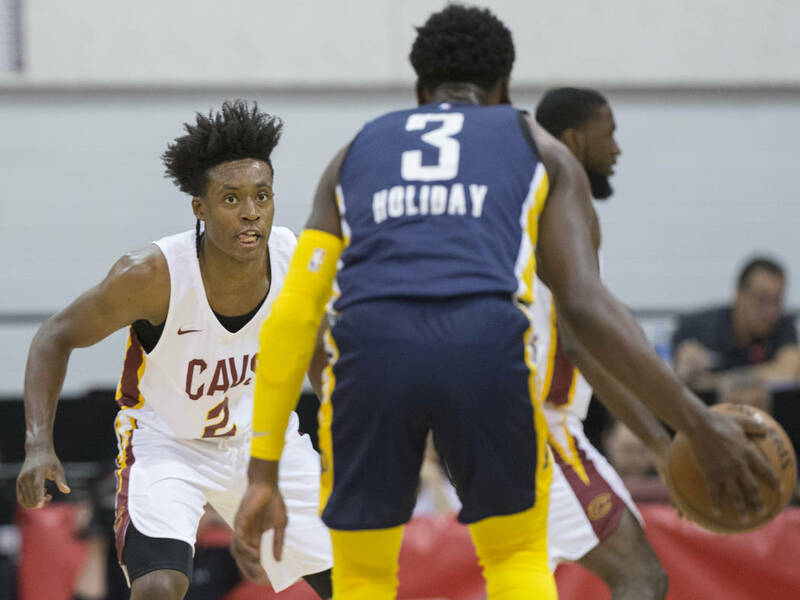 So much so that a close friend nicknamed him “Young Bull,” during his junior year in high school. 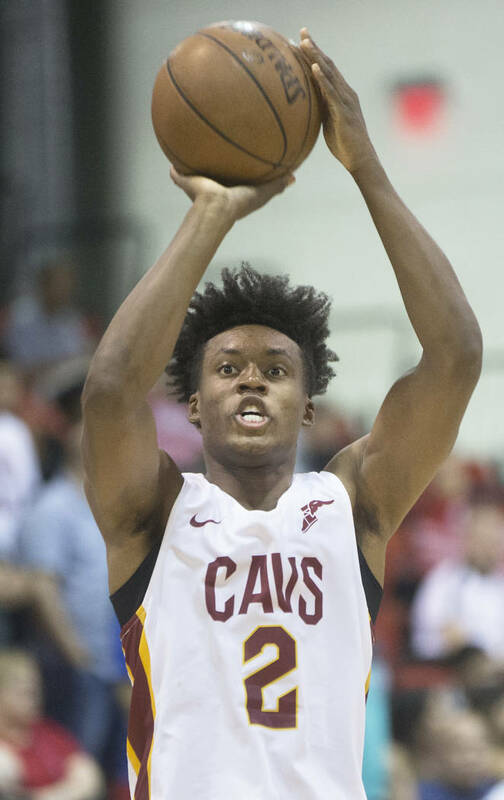 At Pebblebrook High School in Mableton, Georgia, Sexton was a McDonald’s All-American and was the No. 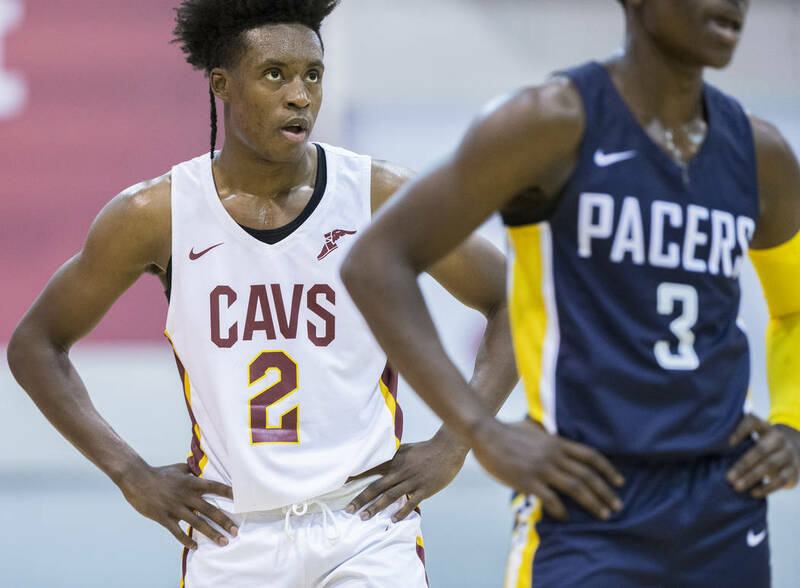 2 point-guard recruit in the country. 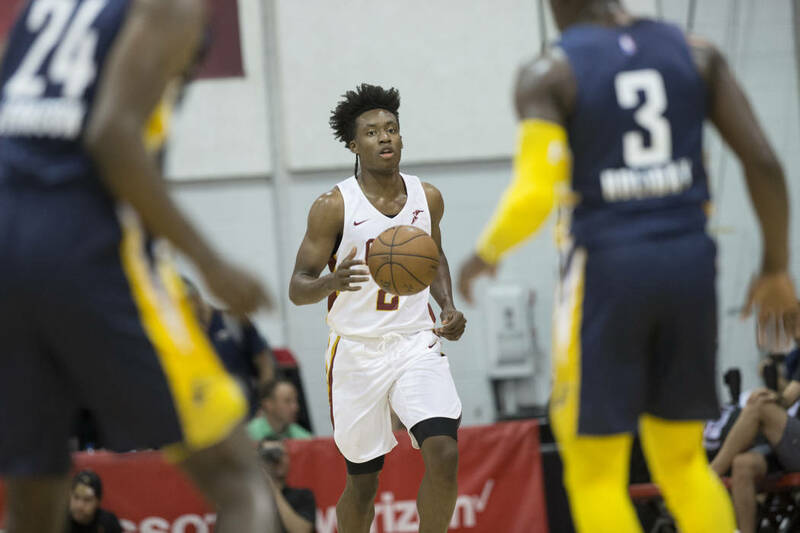 He passed on the opportunity to play at blueblood programs like Arizona, Kansas and North Carolina, and instead, stayed close to home to play for former NBA champion point guard Avery Johnson and the Crimson Tide. 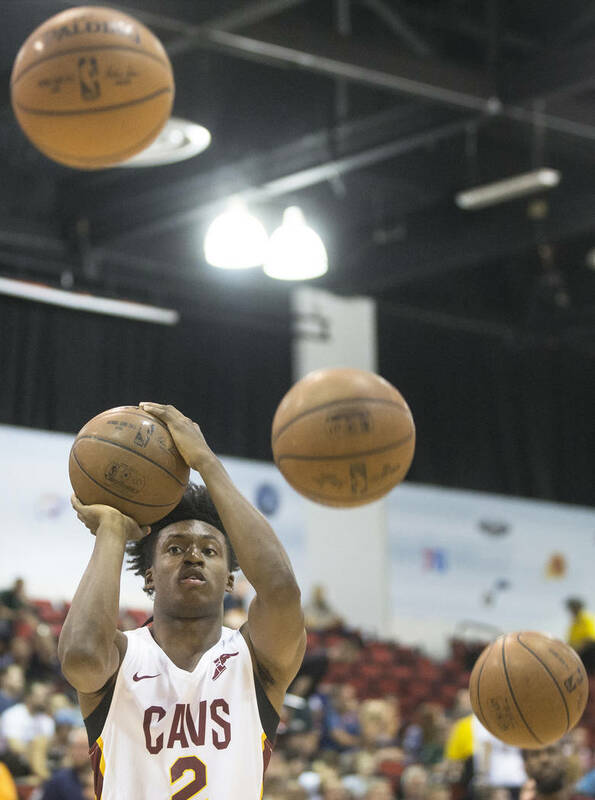 Altman, for one, watched Sexton average 19.2 points — on 44.7 shooting — 3.8 rebounds and 3.6 assists during his lone year at Alabama. 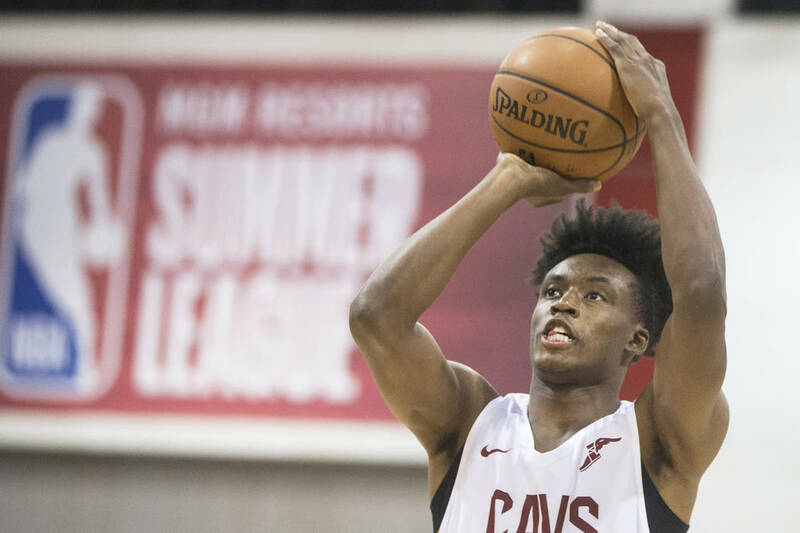 He scored 40 points against Minnesota — a school record for freshmen — to become the first Crimson Tide player to reach that plateau since 1979, and, in June, became Alabama’s first first-round draft pick since Gerald Wallace in 2001. 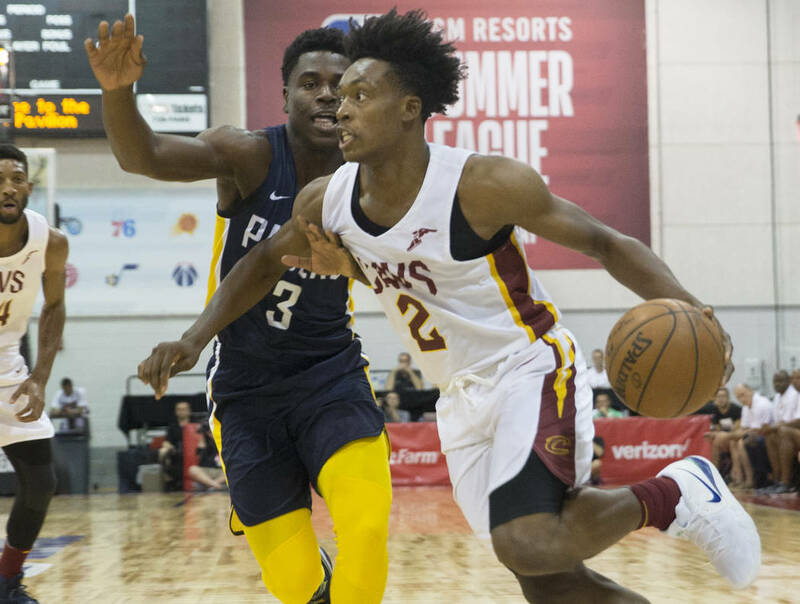 Sexton is already displaying an advanced feel for point guard at the NBA Summer League in Las Vegas. 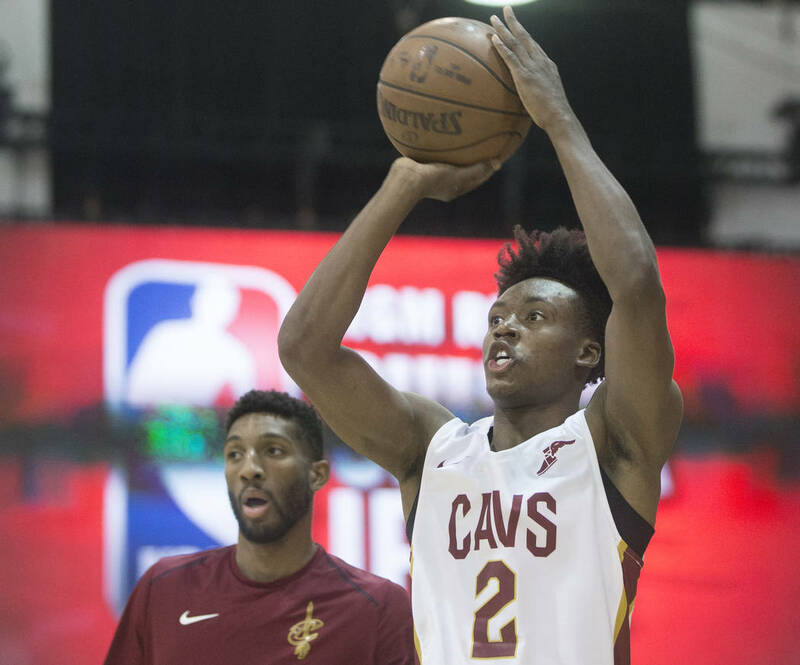 He can snake around a ball screen and torpedo toward the basket, requiring only the smallest of crevices to finish at the rim. Or he can probe the paint, scan the defense and feather passes to shooters and big men. 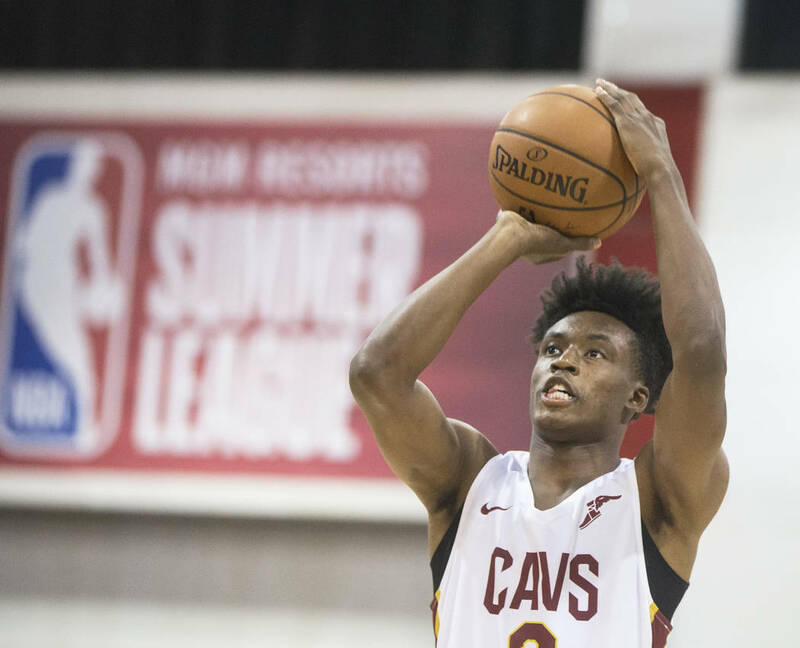 His new teammates are catching on to the nickname and enjoying the passion he contributes. 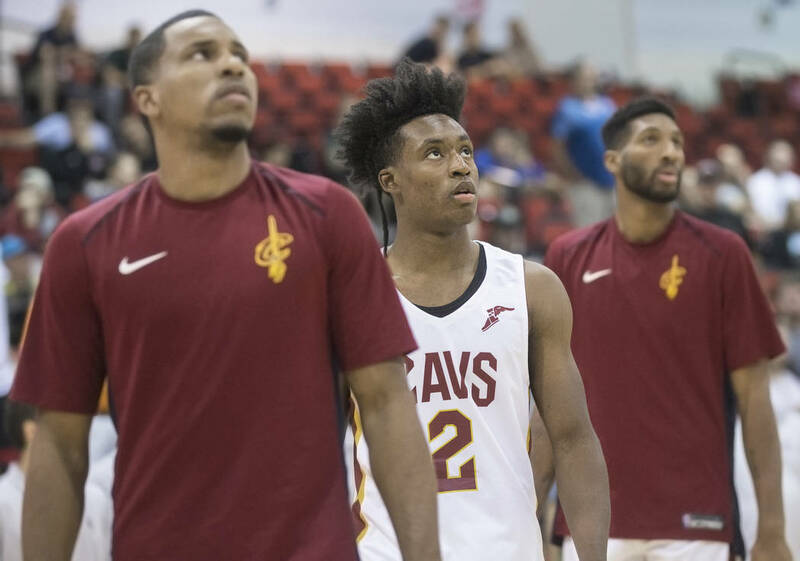 They call him “YB.” They see what Altman sees: The future of basketball in Cleveland, Ohio.